The Hindu had earlier reported on the defence ministry’s reservations to “parallel negotiations” conducted by the PMO in the deal. Continuing to corner the Modi government over the Rafale deal, Congress chief Rahul Gandhi Monday launched a fresh salvo at Prime Minister Narendra Modi after a media report stated that the PMO had waived key provisions of the anti-corruption clauses days before the defence agreement was signed. The Hindu report states that the government gave “major and unprecedented concessions” to the French side when the Rafale deal was signed between the two countries. This included dropping of “critical provisions for anti-corruption penalties and making payments through an escrow account”. According to the media report, the high-level political intervention meant that standard Defence Procurement Procedure (DPP) clauses on “Penalty for use of Undue Influence, Agents/Agency Commission, and Access to Company accounts” of Dassault Aviation and MBDA France were dropped by the Modi government. The newspaper further cites official documents that reveal that the Defence Acquisition Council (DAC) chaired by the then Defence Minister, Manohar Parrikar, met in September 2016, and “ratified and approved” eight changes in the IGA, supply protocols, offset contracts and offset schedules. The agreement and the documents had been approved by the Cabinet Committee on Security chaired by Prime Minister Narendra Modi before that on August 24, the report adds. 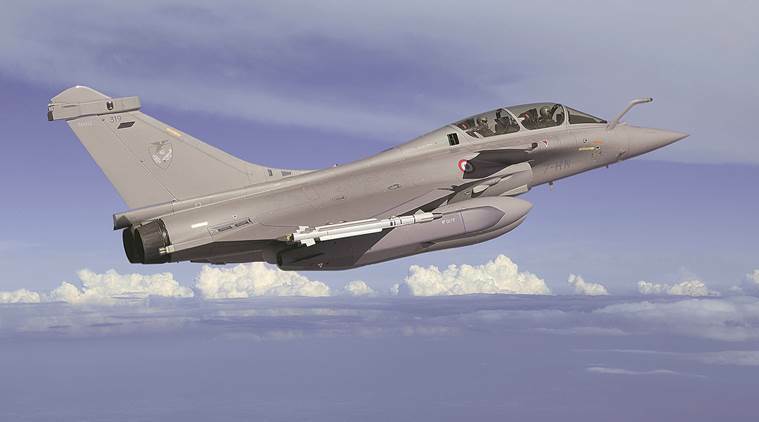 The Rafale deal was signed between India and France under the terms of DPP-2013. Despite the procedure stating explicitly that the Standard Contract Document “would be the guideline for all acquisitions”, the Indian government chose to remove these clauses from the supply protocols with the two private defence suppliers, the report says. The Hindu in its report says this was significant because the government also chose to do away with a sovereign or bank guarantee from France and settled for a letter of comfort, which is not legally binding, from the French Prime Minister. The newspaper had earlier reported on the defence ministry’s reservations to “parallel negotiations” conducted by the PMO in the deal. While the Congress accused the prime minister of “bypassing procedures and lying to the Supreme Court”, the BJP dismissed the report calling it “periodical enquiries by the PMO.” The saffron party also accused The Hindu of “not carrying Defence Minister’s reply” to the note. Nirmala Sitharaman in Lok Sabha said that the then Defence Minister Manohar Parrikar had replied to the letter asking the official to remain “calm” as everything was “alright”. 15 injured as train derails in U.P.